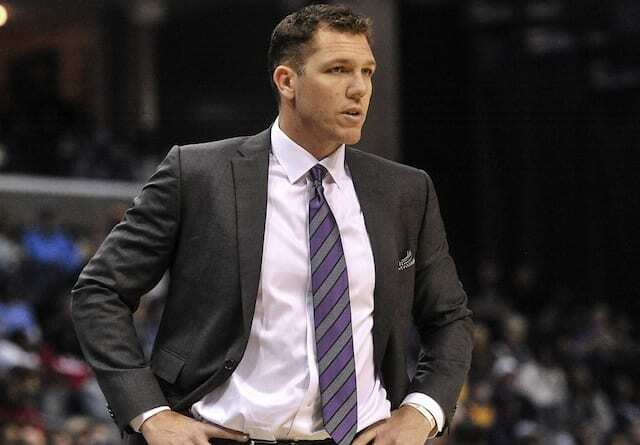 After playing one of the best games of the season against the Boston Celtics, head coach Luke Walton saw the Los Angeles Lakers regress in a 143-120 loss to the Philadelphia 76ers. As the two teams went back-and-forth, the 76ers established a double-digit lead late in the third quarter. 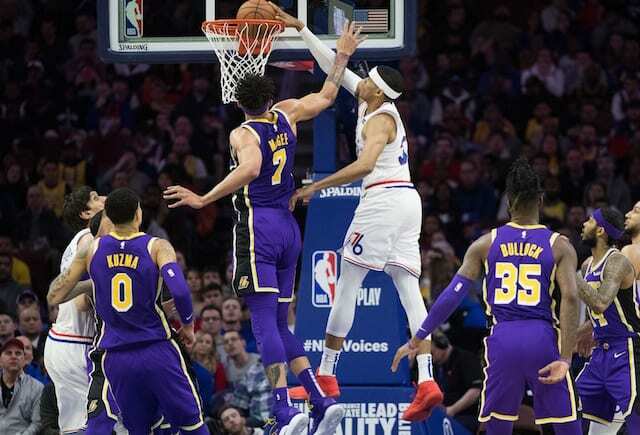 While the Lakers got within three points, they allowed at least 33 points in each quarter to the 76ers and did not give themselves much of a chance to win on the road. Through all of the injuries and still without Lonzo Ball, the Lakers have suffered most on the defensive end. 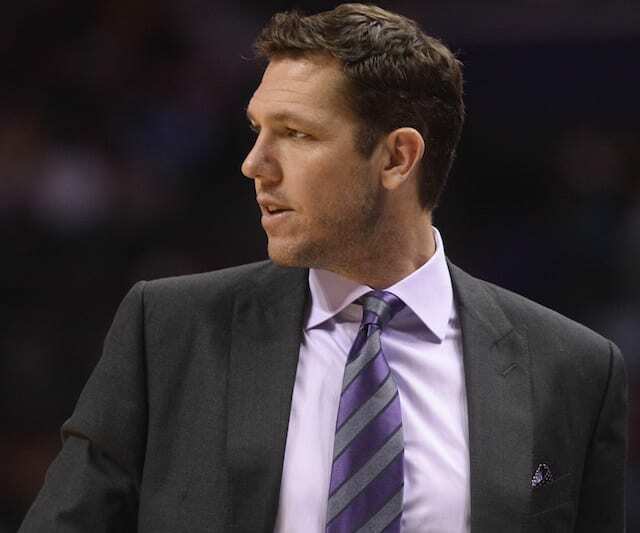 And prior to tying a season-high in points allowed against the 76ers, Walton stressed the importance of improving in that area. The Lakers were one of the best defensive teams in the league until the injuries started to pile on. Through 56 games, Los Angeles has slipped to 13th (108.4) in defensive rating. 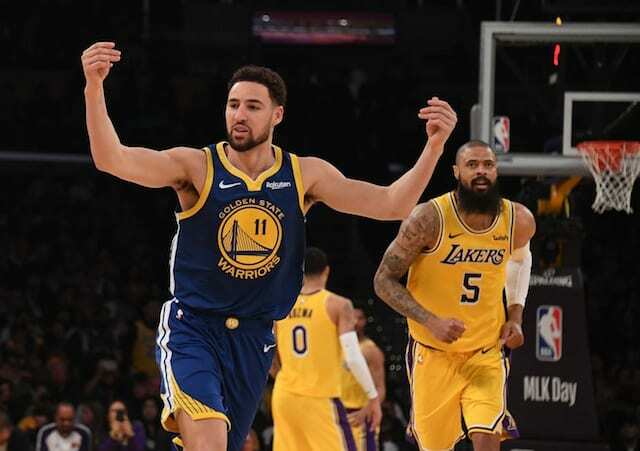 They don’t figure to benefit from getting Ball back, as he is not expected to return until some point after the All-Star break. 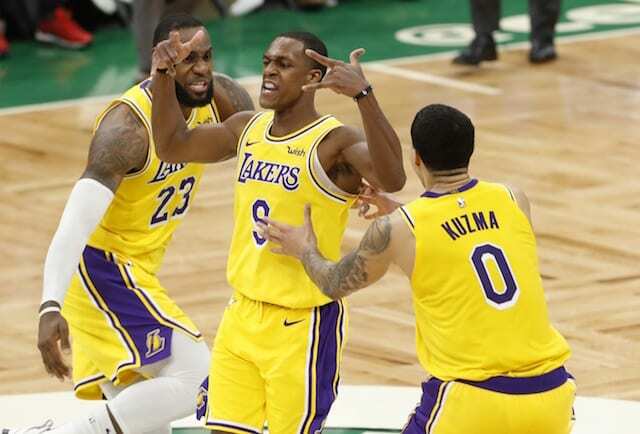 With one more game against the Atlanta Hawks, the hope is the Lakers can reset after the injuries and trade rumors and make a strong playoff push. At 28-28, they are 2.5 games back of the Clippers for the eighth and final spot in the Western Conference playoffs.